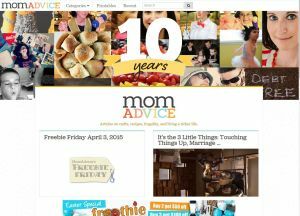 momadvice.com – I was always told to take Mom’s Advice because she’d know best and I feel this review blog has established trust already and that’s just in the name. Amy Allen Clark is the engine behind this behemoth of a site. She has quite an impressive list of clients and favourable mentions, plus has also written a book. I wonder if she had taken her Mom’s advice. The blog is full of giveaways, bargains, coupons and just about everything else that is going to save you money. The blog is not cluttered with Google Ads, and the sponsored posts just look like part of the furniture. Amy credits the web design to her husband who is the other part of the core team, and I think he has done a top job. I love the idea of freebie Friday and each week it has an impressive list of giveaways and sample links. Wow! There a couple of other writers on the site, which is always a good sign that business is good and the Printables could be a separate website in itself. 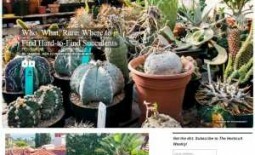 How they Make Money: – There are Google Ads, and at first I didn’t think they appeared on the front page but there is one in there and it’s subtle. Obviously there are lot of sponsored review posts. tomoson.com – Ok, this really isn’t their blog site, but I though it worth mentioning in this company of bloggers (if you want to check out their actual blog you will find it here). 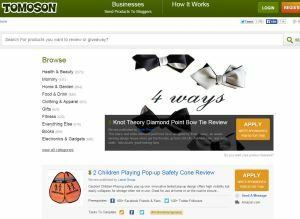 Tomoson, is one of those companies behind those freebies you see given away so frequently on blogs. It’s a great business idea and saves bloggers time and energy trying to source freebie products. 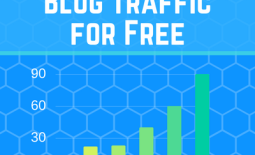 It’s free for bloggers to register and if approved you’ll go on the list of potential candidates for their clients, which leaves you the time to work on your blog. If a client likes your profile and your target niche, then Tomoson will contact informing you of the promotion products. The rest is up to you. How they Make Money: – Their clients pay a finder fee to Tomoson. 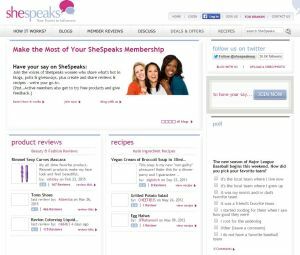 shespeaks.com – Your power to influence is a great tag line for this blog because it’s all about the readers being the reviewers and now bloggers. As far as a good content strategy goes, getting your readers to provide the content is the holy grail. Sit back relax and watch the organic traffic roll in. Ok, it’s not that quite simple and I imagine before the site gained traction the owner probably did a lot of ghost writing. But years later it’s alive and buzzing. 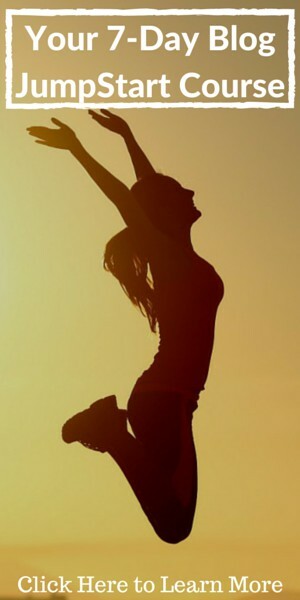 The reviewers are rewarded on a leader board and with free products to review. The competition is fierce. Just looking at Crayola Crayons I can see over 1400 reviews for the one product, it’s outrageous. This product review blog has plenty of raving fans and the claim is around 200,000 of them at last count. petbloglady.com – Lisa Taron is the Pet Blog Lady, and she is an animal lover, pet parent and advocate for unwanted pets. She suggests being a pet blogger is her calling and through her passion she is able to bring great joy to her posts. But she is a woman of many talents and interests including Illustrating a children’s book, and you don’t hear about that everyday. This pet product review blog is totally dedicated to reviewing products and services for pets, with plenty of giveaways and the occasional guest pet post. There is more a focus on dog products, although there are plenty of other products being reviewed and Lisa finds some crazy good infographics to promote. This blog is a mixed bag of goodness. If you are looking for some ideas for Rover’s or Tabby’s next birthday then you might have found the right place to lurk awhile. Why not enter the free giveaways while you are there. testfreaks.com – Ok, this is exactly a review blog, but their blog was a mix of conversations and reviews and their main site is where the magic happens. The co-founder were tired of the marketing purse of the major brands and wanted to give honest real person views. This includes the ability for the readers to submit in their own product reviews. It’s an extensive list covering everything from Baby Products to Video. Nothing seems to be off topic, well almost nothing. The reviews themselves are comprehensive and list other reviews on the web including grabbing the ones directly from Amazon and embedding there own referral codes, and as stated include user reviews as well, but these scores do not affect the original review score, which is likely to protect from spam reviews from competitors. How they Make Money: – They take advantage of affiliate links where possible including ones with eBay. There is also a Google banner ad running. 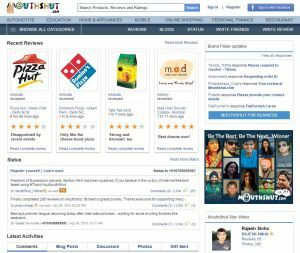 mouthshut.com – Another blog turned professional review site, claiming to have millions of view the sites founder, faisal Farooqui, started with a dream and ended up with an product review empire. Launched in India in the year 2000 this site has survived the dotcom bubble and has thrived ever since. Unlike the cow, there is nothing sacred on this site, if you have a product, brand, business, a website of offer a service you too could find yourself on this site. As not all reviews are created equally, the site owners have a neat ‘Fake’ stamp they place on reviews that are clearly associated to the product listing. I’m not sure how they score this but after reading a few fake reviews it was fairly easy to spot. How they Make Money: – They run quite a few banner ads and offer business the opportunity to learn how to fight against the negative reviews. Nice little upsell. 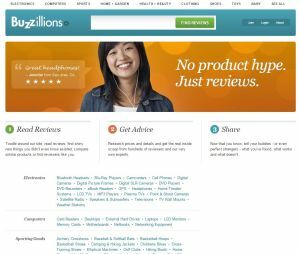 buzzillions.com – Buzzillions point of difference is they work directly with the product retailers to identify people who have purchased a product and ask them to write a review. With a list of 17 million reviews, they have amassed quite a list already. It’s quite a popular idea now that are connected via the internet, to harness the word of mouth suggestions and reviews that we used to trust into a online trust network even with people you don’t know. 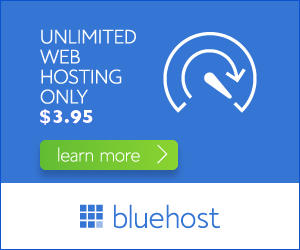 The biggest challenge these larger sites have compared to the stay at home blogger, is reputation and how to prevent people and competitors from gaming the system. thriftyniftymommy.com – Janessa is the Thrify Nifty Mommy, a stay at home mom that used blogging as an outlet to stay in touch with the world. Passionate about helping families find the right products within their budgets and committed to quality reviewing. The reviews are well written and add a touch of personality, although not all are written by Janessa herself, as there are a few other guest reviewers working on the site. There are some nice recipes that are making me hungry, by just looking at the images. This Product Review Blog has a very homely feel and the theme and style is carried right throughout the site, although I didn’t appreciate giving my bandwidth away to those popup ads constantly appearing on each page refresh. 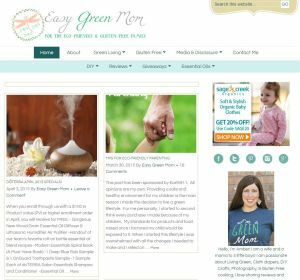 easygreenmom.com – I just had to include this one in the list because there are so few popular green reviewers out in the internet wilderness. Amber switch to ‘Green Living’ due to family intolerances to harsh chemicals and Gluten. 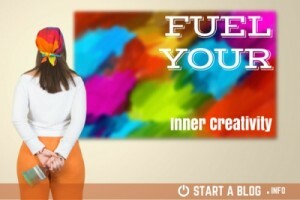 It’s not so uncommon these days and Amber has taken the positives from it to run a niche site. I’m impressed by the quality of the reviews and photographic images, Amber uses instead of the standard marketing images. It adds life to the products and makes you feel like more connected to the products. It’s not something I’ve seen whilst looking for great product review blogs, and certainly is a point of difference, which is valued. How they Make Money: – There are sponsored posts and banner type ads, plus twitter tweet packages for branding recognition. 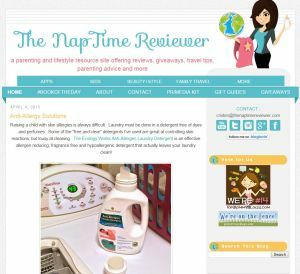 thenaptimereviewer.com – The Nap Time Reviewer is owner by Cristen, and actually refer to herself as having a Mommy Blog. Despite that conflict of interest with the name and desires, you can find plenty of reviews and giveaways on this blog. The reviews are comprehensive although some appear to be more advertorials as they are written in the style of a marketer. Regardless, this blog has some great award citations which means they are clearly doing something right. As a bonus Cristen reviews the family holidays, but I guess once you have reviewers blood in your veins, everything is an opportunity. Pro Tip: When pivoting a blog to a different market segment it’s better to niche down rather than niche up. The owner could have quite easily setup her Mommy Blog on another domain and directed the interested readers from the Product Review Blog to the Mommy Blog. That way both sets of readers would be getting what they wanted everytime and not just every few days. Niche Down, Not Up. If you want to enter the Product Review niche then you can start by reviewing things you use. Streamline the product review process as much as possible and include sponsored posts and affiliate links to get some money rolling in. You need to also consider how you will handle the products you don’t like ( provide feedback to the manufacture and maybe don’t publish). As you can see the larger dedicated sites are review focussed while the blogger sites hold their market share own because they have what every retailer desires, eye ball attention and a raving audience. A product review site, doesn’t really have a connection with their audience and relies on a good conversation rate, whilst a product review blog can give a more personal experience, and direct the readers into the more profitable parts of the blog. If you enjoyed reading this, then please share and spread the love or check out one of my other A-Z Popular Blog Site reviews. 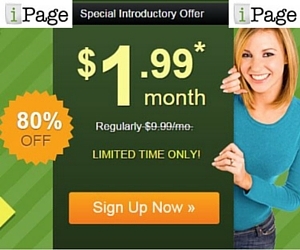 Share the post "10 Product Review Blogs worth reading and how they Make Money"